The following credit cards are the best of 2019 for those with limited or no credit history. While many of these cards don't have great rewards, they can help you build your credit profile so you can take advantage of rewards later on down the road. Compare the best offers from our partners, read reviews from our editors, and apply online for the card that is right for you. This card packs a great rewards punch with 2% cash back at gas stations and restaurants (up to $1,000 a month in combined purchases) and unlimited 1% back on everything else. Better yet, rewards are automatic requiring no sign-ups. In the first year of being a cardholder, Discover will match all of your rewards, this is a nice added incentive on this already compelling no annual fee card. Make sure to keep up with your monthly payments because APR will quickly undermine your cash back rewards. Commonly used for: Auto Rental Insurance, Extended Warranty Program, Mobile Pay Ready, Price Protection, Travel Accident Insurance, Travel Assistance, Zero Fraud Liability. 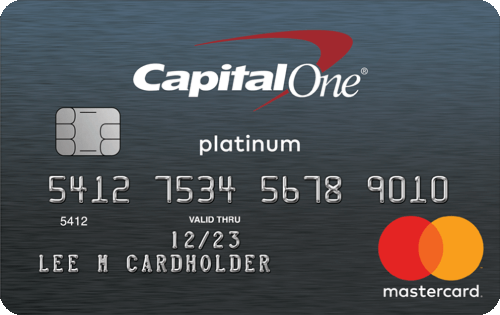 The Capital One® Platinum Credit Card is a no-frills credit card that can help you to build or rebuild credit quickly with responsible use for no annual fee. After 5 months of on-time payments, you are eligible for a higher credit line. 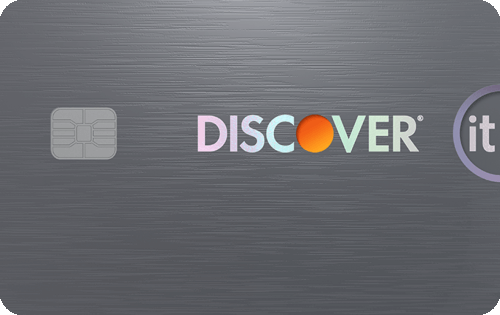 For your first year, Discover will match all of the cash back rewards you earn. This is a great bonus considering the card's 2% cash back rate for gas stations and restaurants (up to $1,000 in combined purchases per quarter) and unlimited 1% on everything else. If you're trying to graduate to an unsecured card Discover will automatically review your account after eight months. Commonly used for: Auto Rental Insurance, EMV, Extended Warranty Program, Mobile Pay Ready, Price Protection, Roadside Assistance, Travel Accident Insurance, Travel Assistance, Zero Fraud Liability. 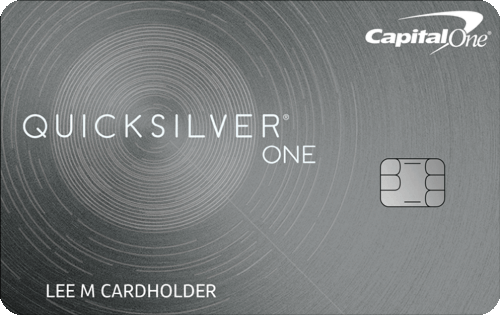 The QuicksilverOne® card offers a low maintenance -- but still rewarding -- cash back structure of 1.5% on everything. This means there's no signing up for rotating categories or trying to plan spending around tiered bonus categories. The card can help you build credit for a reasonably low annual fee and favorable rewards. This is an ideal choice for students with 5% cash back in rotating bonus categories (that you have to activate quarterly) where you would probably already be spending like grocery stores, restaurants and even Amazon.com (up to the quarterly maximum). Additionally, you get an unlimited 1% back on everything else. The good grades reward gives students with a 3.0 GPA or above a $20 statement credit each year which is a nice perk to look forward to. There are a lot of things to like about this card for students interested in building their credit and earning rewards. Capital One® quickly rewards you for responsible use of your credit card. If you keep up with your monthly payments for 5 months you can be considered for a higher credit line. They make it easy for you to manage your monthly payments by enabling you to pick your own payment date and pay online, at a local branch, or by check. 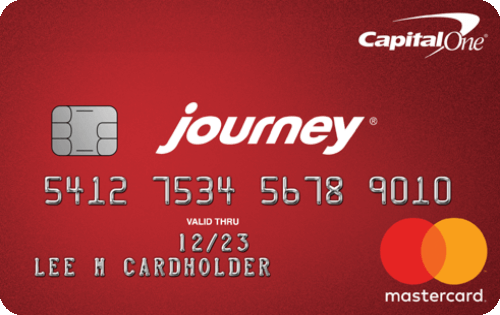 The Journey® Student Rewards card offers 1% cash back on all purchases but if you make your payment on time that boosts your cash back total to 1.25%. That's a very competitive cashback rate for any credit card, especially one designed for those with no credit history. While you are enjoying your cash back rewards you can also monitor your credit with the CreditWise® app and, after just 5 months of on-time payments, you could be considered for a credit line increase. 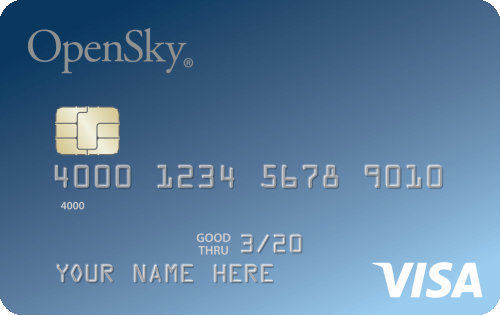 OpenSky® believes in giving an equal opportunity to everyone so they will not check your credit for this card. With a secured card you put down a refundable deposit that becomes the basis of your credit limit, for example, if you put down a $200 deposit you will have a $200 credit limit. Using this card and paying your balance in full each month will mean you don't incur interest charges and you will be building your credit over time. 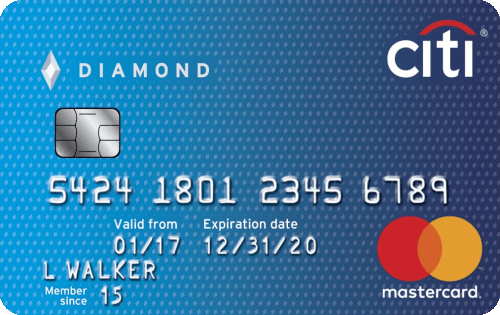 This card helps you to build your credit without charging you an annual fee. There is a $200 minimum security deposit which might be high for some but it's also worth considering that Citi reports every month to the credit bureaus which keeps your credit score reflective of your borrowing behavior. Is no credit worse than bad credit? Chances are you may be just starting out on your financial journey, or you could be starting anew after a few financial missteps. Well, you have come to the right place. Bankrate’s team of personal finance experts have over ten years experience offering thoughtful advice on life’s financial journey. When you don’t have a credit history, you could use a good credit card to help you establish a strong one. The cards we recommend are the best for building the foundation of a credit history that will benefit you the rest of your life. Annual fees: If you want a starter credit card but don’t have a lot of money to spare the cards on this list have either no annual fee or an annual fee under $40. Intro APR: Annual Percentage Rate (APR) determines how much interest you pay. Some of our top cards offer 0% introductory APR for purchases or low introductory APR for balance transfers. Incentives: You’ll find cards on this list that reward you for good financial habits, like the option to increase your credit line for making on-time payments. We’ve also included student cards that offer statement credits for making good grades. Credit-building tools: Cards that offer monthly reporting to credit bureaus help establish your credit history. Bankrate can help you find a credit card to begin building a solid credit history, purchase by purchase and payment by payment. Check out our best credit cards for no credit history and get started today. This is Bankrate’s highest-rated secured card—and for good reason. This card is one of the only ones designed for those with little to no credit that offers cash-back rewards and at a respectable rate too. 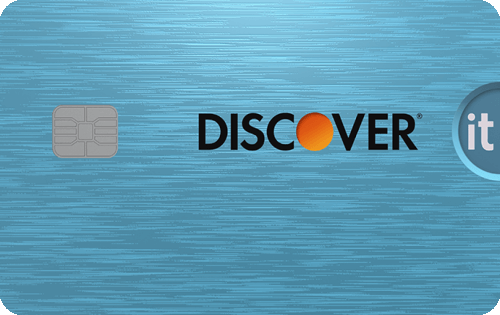 The Discover it® Secured earns 2% back on dining and gas up to $1,000 in spending per quarter, and 1% on everything else. Saving money AND building up your credit sounds like a win-win to us. Regular on-time payments (and delinquent ones) will be reported to all three credit bureaus. This card lets you establish your credit line with your tax return by providing a refundable security deposit from $200-$2500 after being approved. Bank information must be provided when submitting your deposit. 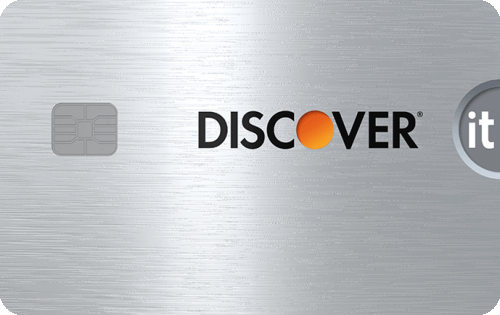 Discover will match dollar-for-dollar all of your rewards at the end of the first year of card ownership. The Capital One Secured Mastercard wants to help you achieve solid financial footings. At least, that’s what this piece of plastic implies with its structure. This card lets you pay your initial opening deposit in installments—which could be a real help for anyone on a fixed income. You have 80 days to pay off your opening security deposit, which starts at a minimum of $200. You may be eligible for a higher credit limit after you make five on-time payments in a row. This card comes with Platinum Mastercard benefits, which include travel and auto protection. There’s no annual fee, no set-up fee and no maintenance fee. The Website for OpenSky’s Secured Visa Credit Card deserves kudos. It’s one of the best-designed and most accessible we’ve seen. On the site, the terms of the card and information about how you can build or improve credit with the card are easy to navigate and written in clear language that anybody should be able to follow. Previous credit history or lack of won’t be a barrier to obtaining the card. You can qualify by opening making a fully refundable deposit with OpenSky into an FDIC-insured account. Payments will be reported to the three major credit bureaus every month. Late payments won’t affect your APR. Considering 90 percent of financial institutions in the U.S. use FICO scores in their decision-making process, your credit score is one of the single most influential factors in determining your financial standing. Lenders use your credit score to gauge how reliable you are at paying your bills on time and in full. When you hear a three-digit number referring to a credit score, that number is likely a FICO score. FICO scores range from a low of 300 to a high of 850. According to Experian, one of the three major credit reporting bureaus, approximately 16 percent of Americans have a “Very Poor” score – meaning 579 or lower. Those with no credit history or low credit scores might struggle to be approved for a mortgage, auto loan, credit card and more. Even if you get approved, those will lower credit scores aren’t offered the most favorable terms on interest rates or credit limits. For example, if you have a credit card and have a balance of $10,000 on it, someone with excellent credit may have an annual percentage rate (APR) of 17%, so over the course of the year, if you leave the balance untouched, that $10,000 will accrue $1,700 in interest. Someone with poor credit, on the other hand, may only qualify for a card with a higher APR, like 29 percent. That same $10,000 balance over the course of a year with an APR of 29 percent will accrue $2,900 in interest charges—a $1,200 difference just because of a lower credit score. When it comes to loans that take years to pay off, like student loans and mortgages, the difference between poor credit and good credit can mean thousands of dollars over the life of a loan. And, those with poor credit may not even be able to get approved by a lender, making it difficult to make any purchase that you’d like to pay off over time. For someone who is just starting out, it’s important to know that it takes time to build up a strong credit score. A credit card can be a great way to start building up your credit history if you use it wisely. Even if you’re only eligible for a secured card, if you use the card to make small charges, keep your spending on the card at a minimum and pay your bill on time and in full each month, you can improve your score by the end of 2019. One of the factors that can affect your score is your total debt-to-available-credit ratio. In general, it’s best to keep this ratio at 30% or less. If you have a card with a total credit limit of $1,000, aim to spend no more than $300 on the card in a billing cycle. This includes any issuer set-up and maintenance charges that may come with some of the cards designed for those with no credit. Pay your bills in full and on time every month, keep your debt-to-available-credit ratio low and you’ll eventually get approved for a higher credit limit, which can help improve your score. Maintain good payment behavior and over time your score will continue to improve. Your goal should be to eventually attain excellent credit so that you qualify for the best rates on all loans. As soon as you open your first bank account, you should consider building your credit profile. It’s possible (and necessary to gain strong financial footing) to build up a credit file even when you don’t have any credit. If you don’t think you’ll qualify to get a credit card on your own, consider becoming an authorized user on a family member or close friend’s card. Or, have someone co-sign on a card application with you. A secured card may also be a good choice as these cards have far less stringent criteria for approval than unsecured cards. With regular on-time payments throughout 2019, you can boost your score even if you started the year with no credit. Is no credit the same as bad credit? Having no credit and having bad credit are two very different things. Someone with no credit is typically someone who is just starting out, either as a young adult or someone new to the country. Having bad credit, however, means that you’ve possibly made poor financial decisions and are considered risky to lenders. 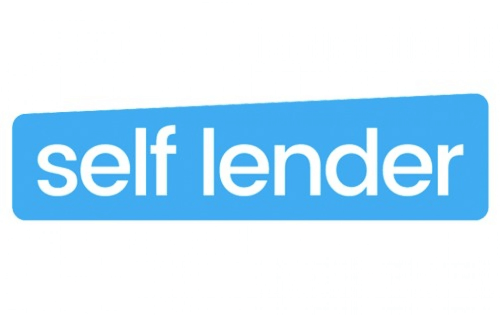 Therefore, lenders are typically more favorable towards those with no credit. For example, a landlord may look less favorably upon someone who has recently filed for bankruptcy than a recent college grad with no credit who just landed their first job. In most cases, no credit is somewhat of a clean slate, taking less time to build up a strong credit profile than someone who has to wait until a bankruptcy is discharged or other bad credit issue is resolved. Most credit card issuers report your spending habits and payment history to one of three major credit reporting agencies. These agencies compile this information with reports from other lenders such as your mortgage company or small loan lender to create your overall credit report and credit score. By practicing responsible spending habits with your credit card, you are showing these reporting agencies that you are low-risk, meaning they don’t have to worry about you not paying your bills or maxing out your credit. While responsible credit card usage can help those with bad or no credit improve their score, it’s also important to remember that scores can be temporarily impacted by credit card applications. Every time you apply for a card, the issuer will do what’s called a “hard” inquiry, which will show up on your credit report. Multiple hard inquiries can damage your credit score, so make sure that you are only applying for lines of credit when necessary.